Education is a form formal or informal learning which enables one to acquire knowledge, skills , values , beliefs and habits from one person or a group of people with the aim of enabling the person to be more efficient at work and to accumulate knowledge of living in society. Education is therefore expected to give someone the competence required to deliver at work. However the formal education on its own is yet not good at enhancing peoples’ attitude towards work and may create certain limitations in the mind of people. One may have acquired the skills through formal education but may not have a right attitude towards work. Therefore formal and informal education is very important but success depends on attitude of a person towards a given situation as explained in the formula below. An attitude can explained as a positive or negative reaction towards a given situation. A positive reaction will enable a person to have a positive or favourable approach to a given situation. A negative reaction creates limitations or blockage in the mind of the person to positively or favourably respond to a given situation. 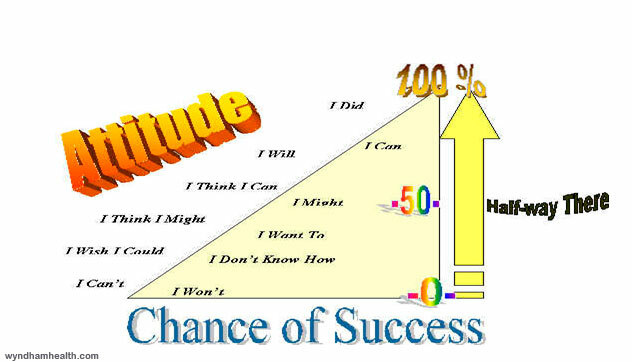 Your chances of success in life depends therefore on your attitude as indicated below. For example a child who hates school cannot be very successful in school as success is conditional on positive attitude towards being in school. Before I went to school there are so many things I thought I could do. I thought I could fly like a bird. I thought I could play the whole day. I thought I could communicate a message by shouting across the valley. I thought I could walk naked and so on. But as soon as I arrived in school I was met by so many ‘donts’ and ‘impossibles’. Many of these are still deep rooted in my mind. To succeed in life you must not have no limitations in your mind. The Wright Brothers were able to make the first plane because they did not have any limitations in their mind. They were not engineers and they therefore did not have the limitations which are normally in the mind of engineers. 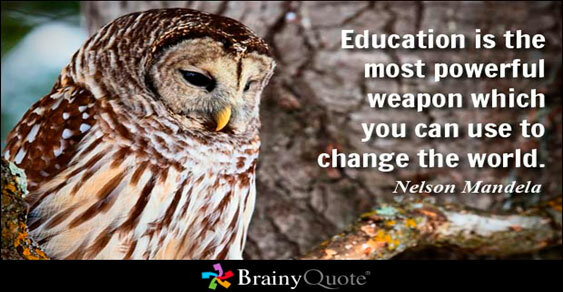 Education is a weapon but you should not forget it can also be a weapon of mass destruction. It can block you from succeeding in life. You have therefore to have a positive attitudes towards limitations caused by educations. The limitations do not mean end of the road but situations where adequate is not available.